Times of transition in leadership can be stressful. When the lives of others are in your hands, and there has been a sudden departure of the only leader the people have ever known, the prospect of assuming leadership can be even more intimidating. Such was the situation that Joshua was thrust into upon the passing of Moses. Joshua was probably feeling very inadequate to the task at hand. I believe that because of what God says to him after this. I don’t think God wastes words, and He would not have said what He did next in order to give Joshua the confidence needed to accomplish the mission God had given the nation. God begins by assuring Joshua that he would have God’s backing in the same way Moses did. He then goes on to tell Joshua what would be required for him to succeed. The problem Joshua must have been contending with was fear of failure in such a monumental undertaking. Otherwise, why would God have repeated the same instruction three times? 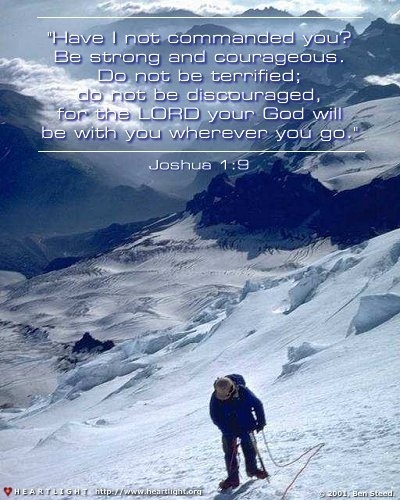 The positive command is given to be strong and courageous, and is restated in the negative a fourth time as “do not be frightened, and do not be dismayed.” And He did not just give the command, but told Joshua how to gain the courage and strength. He was to constantly talk about and meditate upon the Book of the Law. By keeping the promises of the Word of God constantly in his mouth and mind, his courage and strength would not be rooted in his own abilities and talents, but upon God. By constant meditation on God’s Word, he would also be better equipped to mentor those who would someday replace him when he died, in the same way Moses had done for him. 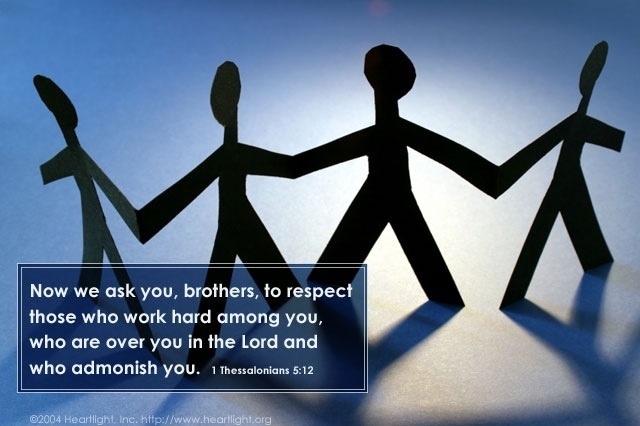 Centuries later, Paul would give similar advice to Timothy. This was very effective, as we can see at the end of the Book of Joshua. Those who served with Joshua and witnessed his example were all faithful to the God he had served, and led Israel in the right path. So whatever situation or circumstance is before you, be strong and very courageous. Keep the Word of God “dwelling in you richly” and believe what God says and not what man may say. In doing so you will be brought safely through to the other side of the problem, and will set an example for others to follow after you are gone!